Do you have any idea how much fees you pay each year to your bank? 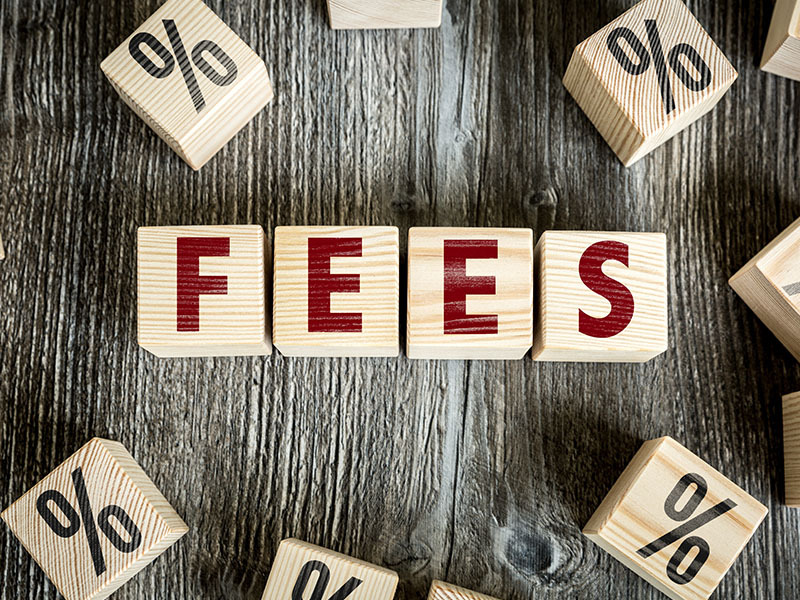 Most people do not pay attention to these fees and at the end of the year, the total amount is certainly higher than what people expected to pay. In Canada, the total amount of banking fees paid by an average household is around 185 dollars a year! This sum might represent a large budget for low-budget families, for students or for people on low incomes. To some people, 185$ may seem a small sum but it’s not. Especially when you realize that it is money that you pay unnecessarily for a simple lack of attention or a lack of rigor on your daily finances. So, why continue to pay charges that you could avoid? Here are some tips to help you dodge unnecessary charges during everyday life or while traveling abroad. It is far more beneficial to withdraw a large amount of cash once a week than making several small withdrawals. The reason is simple (and quite known by everyone): your debit card has a limited number of transactions. Some people do not pay attention to this limit and others find themselves obliged to use their card and exceed the limit of transactions because of unexpected financial situations. Which leads to additional charges per use. In other words, be prepared for the unexpected expenses. It is important to have the foresight and to make sure you do not exceed the limit of transactions per month allowed by your bank. The more you withdraw, the more additional fees you will pay! Of course, it is recommended to withdraw a reasonable amount of money. It is not ideal either to live paycheck to paycheck. For example, withdraw $150 once rather than $50 three times. Check with your bank to find out what the daily or weekly limits of your bank account are. Choose an account that best suits your needs and your lifestyle. A person who is used to use cash often does not have the same needs as another one who swears by credit card. Refine your search and compare the characteristics of various accounts like the interest rates, the monthly fees and transactions. You can online tools to help you compare the chequing and savings accounts that may be right for you. Some of them apply additional fees and service charges but provide clear and complete information. You can also simply contact your current bank advisor for further information regarding their products. Late payments on credit cards are not forgiven. If you miss your due date on a credit card or loan reimbursement, you will face late payment penalties. So, knowing that, the free refund period is usually around 19 to 21 days, counting from the billing day. However, make sure to pay off your balance on time to avoid late fees or high-interest charges. In addition to that, good payers benefited from a good credit score. Depending on your score and ranking, you will receive lower interest rates. Some banks can reduce your account fees if you keep a minimum balance each month. The refusal of a transaction due to insufficient funds is always pricey. For example, a returned or declined check will incur a $45 fee, depending on the bank. Having funds available will protect you from the inconvenience of an unexpected money shortfall and avoid the expense of a Non-Sufficient Funds fee that leads to the declination of a transaction. Having an online bank account is fee-free and offers you several possibilities to manage easily your money on a daily basis. You have access to it anytime and anywhere as long as you have access to the Internet. Almost all your transactions can be done from your phone or computer such as deposits, online billing and other overdraft options. First of all, bank charges are lower than those of traditional banks, thanks to the absence of physical agency and less administrative burden. You can also open a checking account online while keeping a savings account in a physical bank! When one goes on a trip, one of our major concerns is the cost of using money overseas. Everybody wants to avoid transaction fees when traveling! First of all, try not to use your credit card for purchases. Your trip spending will quickly add up because of the international transaction fees and the conversion fees. You can save on bank fees abroad by using a cash machine from a partner institution of your banking institution. For example, Scotiabank customers can withdraw money without fees from Global Alliance GAB Network vendors that are present in forty countries. In order to know what are your partner banks abroad, you just have to call your bank customer service or go check online on your bank website. Sometimes, it is impossible to avoid foreign exchange fees but you can minimize the costs by knowing a little bit more about it. For example, some ATMs will offer you to convert the amount of your purchase into Canadian currency. It might be convenient but if you want to avoid one more sneaky bank fees, just-refuse-it! There is always an important additional fee involved. With your debit or credit card, your conversion rate is between 0% and 3%. If you choose the Dynamic Currency Conversion (DCC) option, your fees can reach up to 15%, which represents a huge amount of money and a significant financial sinkhole for you! Most people are not aware of DCC fees, and those who are may not know in advance what the total cost of the DCC margin will be.